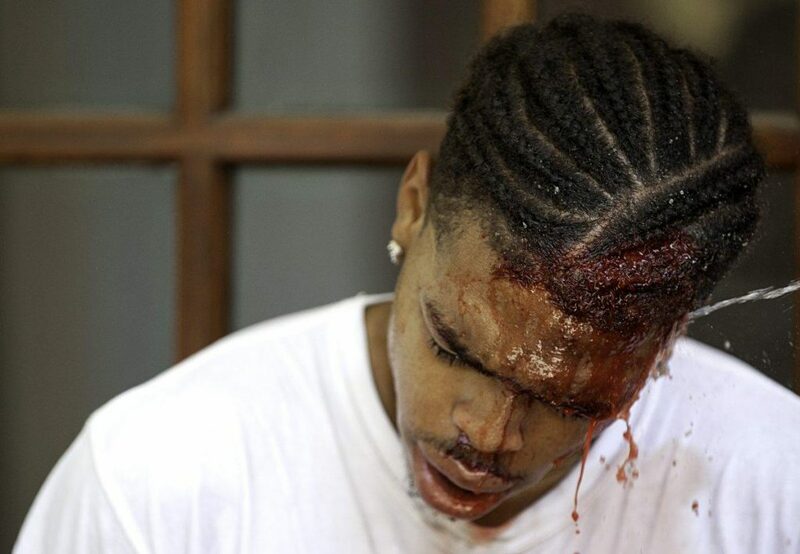 Deandre Harris, a black man viciously beaten by white nationalists during last year’s supremacist Unite the Right rally, has been acquitted of assault by the District Court in Charlottesville. 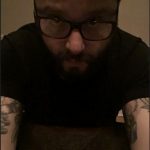 During Unite the Right, Harris was assaulted by six men with wooden pikes in the Market Street Parking Garage, eventually sustaining a spinal injury and receiving 10 staples in his head. Onlookers filmed the incident, leading to a national crowdsourced campaign that brought the perpetrators to justice. Nonetheless, the Charlottesville Police Department issued an arrest warrant for Harris last October for supposed “unlawful wounding” due to an injury sustained by one of his assailants. At the time, Harris’ attorney claimed the charges were “clearly retaliatory” and leveled by individuals with links to white supremacist groups – specifically Harold Crews, a white nationalist and member of the League of the South. According to CBS 6, the men charged with attacking Harris will go on trial later this year. Dozens of local people held a vigil for Harris yesterday at the court where his arraignment was taking place. 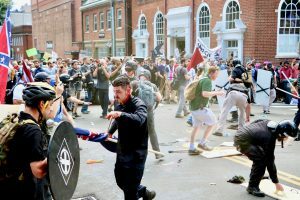 And according to the Daily Progress out of Charlottesville, Judge Robert Downer was quoted as saying, “I don’t see that Mr. Harris did anything wrong that day…It’s all on tape for me to see.” Two other black men, Donald Blakely and Corey Long, have also been charged with malicious wounding and misdemeanor assault during events at Unite the Right – both have claimed self-defense against white supremacist groups. Unite the Right was the largest gathering of white nationalists, supremacists, and alt-right groups in decades and ended in a vehicular terrorist attack against counter-protesters that killed one woman and injured another 30. The rally, planned by white supremacist and Charlottesville resident, Jason Kessler, was originally billed as a protest to protect the statue of commemorating Confederate General Robert E. Lee and was scheduled for removal.